If you believe your bank feeds have stopped working there are a number of steps you can follow to try and resolve the issue. Now, click on the Pending tab to see if your missing transactions are displayed here. 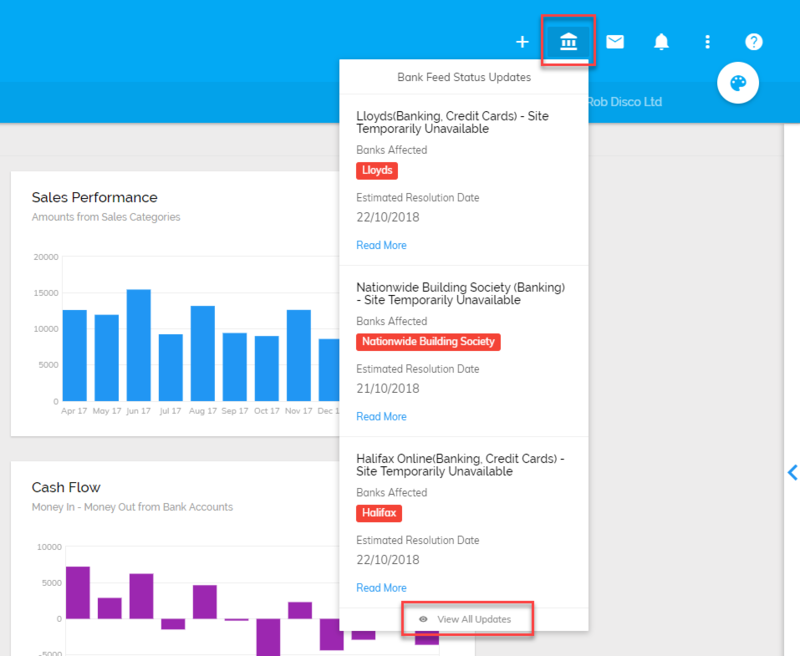 The Pending tab will show a list of transactions that have occurred on your account but are still in the 'pending transactions' status (as defined by your bank). 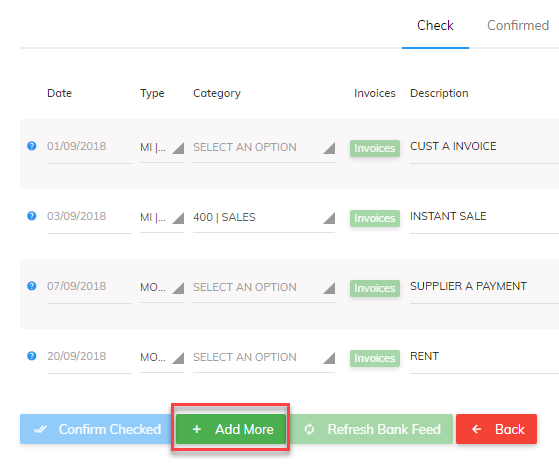 Transactions which appear in the Pending tab will soon be moved into the Check tab once they have fully cleared, allowing you to check and confirm them. Our third party bank feed provider Yodlee will periodically perform maintenance on its bank feed integrations. Unfortunately, when this happens you may experience an issue with your bank feed not working. If you cannot see your bank in this list of affected banks please click the View All Updates link. This will take you to a full list of banks which are currently undergoing maintenance work by Yodlee. Alternatively, you can click the 'Refresh Bank Feed' from within the Check and Confirm screen (shown below). You can access this screen by going to Enter Transactions > Banking Tab > Click 'Enter Transactions' next to the relevant bank account. If your refreshing your feed does not bring through transactions then you may need to use our Add More transactions button, this may also be required after Yodlee carries out maintenance work as some transactions may not filter through to your feed automatically. Then on the following screen enter the date of the oldest missing transaction from your bank account and click 'Retrieve Data'. Don’t worry if the date you enter overlaps transactions present in Pandle which have come through the feed, Pandle will know this and any duplicates will be ignored.